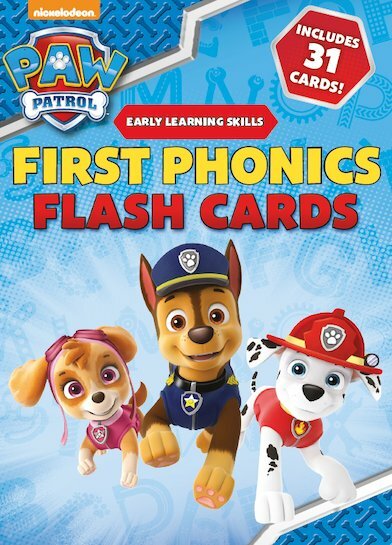 A PAW some pack of 31 full-colour phonics flash cards starring Nickelodeon’s PAW Patrol, perfect for children starting school. Including letters a to z, 4 first digraphs and a parent’s guide, these bright and colourful cards support the way children are taught to read in their first years of school. Join Chase, Skye, Marshall and the rest of the PAW Patrol pups on a reading adventure!